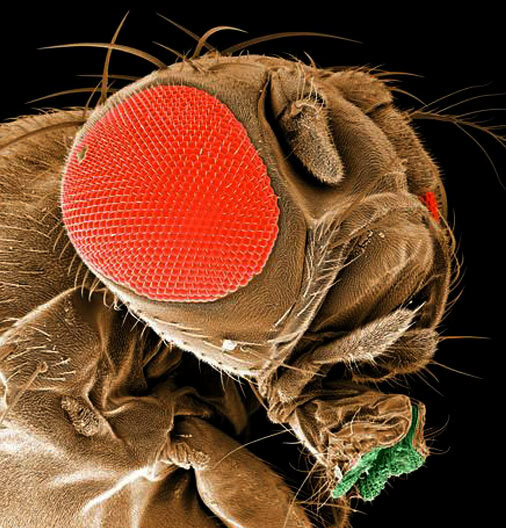 Take a gene from a mouse that’s responsible for creating the eye of that mouse, introduce it into a fruit fly larva, and it will still create an eye. A fruit fly eye. Despite the fact that you have two creatures that haven’t shared a common ancestor for, at best estimates, 500 million years, you can still swap genetic material and the fly will embrace it like a long-lost brother. About 60% of your genes are correlative to those in fruit flies. That figure rises to about 90 percent when you look at mice, and famously we share, depending on who you read, anywhere from 96 – 98% of our genetic material with chimpanzees, our nearest and dearest relatives. Take any random person you might run across in the course of a day, sharing a park bench, perhaps, or cutting you off on your morning commute, and 99.9% of your DNA will be identical. Not similar, exactly the same. Consider that as you’re giving them the finger. 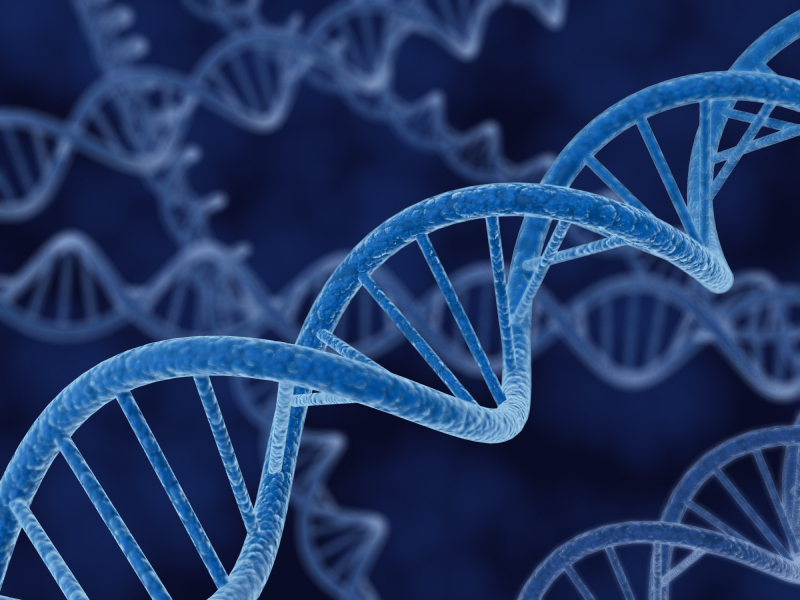 Our 0.1 percent difference, the bit that makes you you and me me, is accounted for by what is known as a single nucleotide polymorphism, commonly called an ‘SNP’ or ‘snip’ by biochemists. Snips are simply places where DNA has not replicated with complete faithfulness, but slipped, say, the nucleotide cytosine instead of the nucleotide thymine into a certain stretch of DNA. Snips pull these little switcheroos approximately 10 million times in any given individual, which is what accounts for our genetic variation. Now 10 million bits of DNA coding may seem like a lot of variation, but relative to your entire genome it’s infinitesimal. To a remarkable degree, we are all the same. And that’s just on the genetic level. At the atomic level, each of us is an elaborate amalgamation of, well, just about everybody and everything. Two things about atoms are that they’re immensely abundant and incredibly durable. You, me, and every other individual on the planet each contain approximately 7,000,000,000,000,000,000,000,000,000 atoms which is, you will note, a very large number. To put it into perspective, if you were playing hide-and-seek with some atoms, well over half a million of them could hole up behind the period at the end of this sentence and you’d never find them. About 99% of you and I consists of hydrogen, oxygen, and carbon, the remaining 1% being a smattering of calcium, phosphorus, sodium, sulfur and other elements that don’t seem to do us any good, like gold, uranium, mercury and arsenic. Ponder that for a moment. 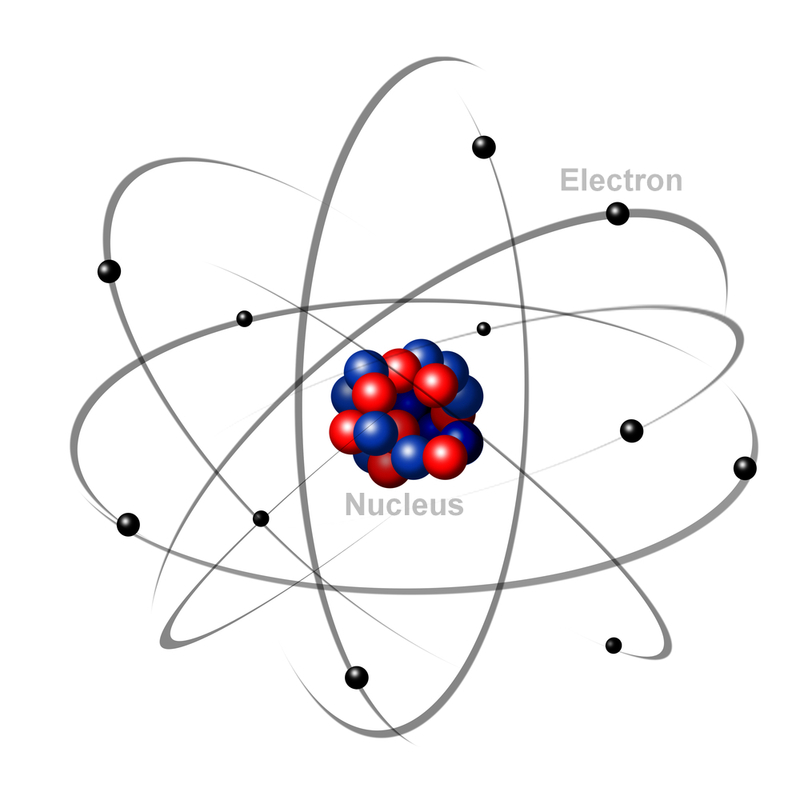 Atoms are so numerous, and are recycled so thoroughly, that we are all made up of each other and the stuff of the universe, and when we die our atoms will eventually go off to shack up with others to make a garden spider, a leaf, another human being, a Las Vegas buffet, or all of the above. 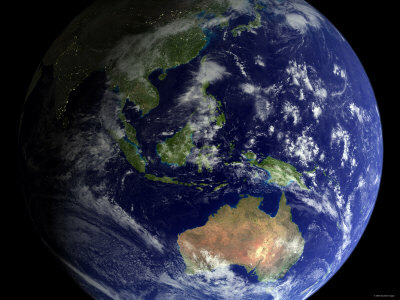 My point is, not only is every human being on the planet largely genetically identical, but the very material we are made from has been borrowed from plants, stones, droplets of water, brachiosauruses, the victims of witch hunts, you name it. We are in many ways all interconnected, these days more so than ever, but we have fundamental bonds that are much deeper than supply chains and social networks, that lie at the very core of who and what we are. I’m no doe-eyed idealist and I harbor no lofty Utopian illusions, but it seems to me that we could keep this in mind when dealing with the world around us and the other humans who share that world with us. We’re all racing through life, scrambling to stay ahead, bouncing and colliding into each other’s conflicting obligations and desires and aspirations so often that we pad ourselves with indifference, shield ourselves in self-absorption. It might do us good to look at one another and see a genetic brother or sister, or watch a flowing stream and realize that we are made largely of precisely the same stuff. It’s a vast, cold, dark universe out there, and we’re all hurtling through it at 100,000 km/h. We can use all of the family we can get. Happy Sad Shy Glad: Is Personality Pre-Programmed? I liked this, science and the need for humanity towards all so philosophically explained. Good information. Thanks! The science, for me, is really more interesting than the philosophy, but I appreciate the thought!